^ 5.0 5.1 Coy, Owen C.; PhD. 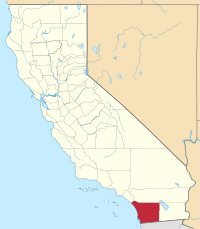 California County Boundaries. Berkeley: California Historical Commission. 1923: 221. ASIN B000GRBCXG. ^ The California Chaparral Field Institute 互联网档案馆的存檔，存档日期2006-06-23. 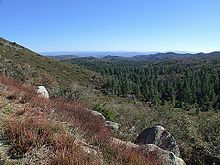 ^ San Diego National Wildlife Refuge Complex website 互联网档案馆的存檔，存档日期2011-01-29. ^ city-data – San_Diego_County-CA. analyzed data from numerous sources. [April 18, 2009].